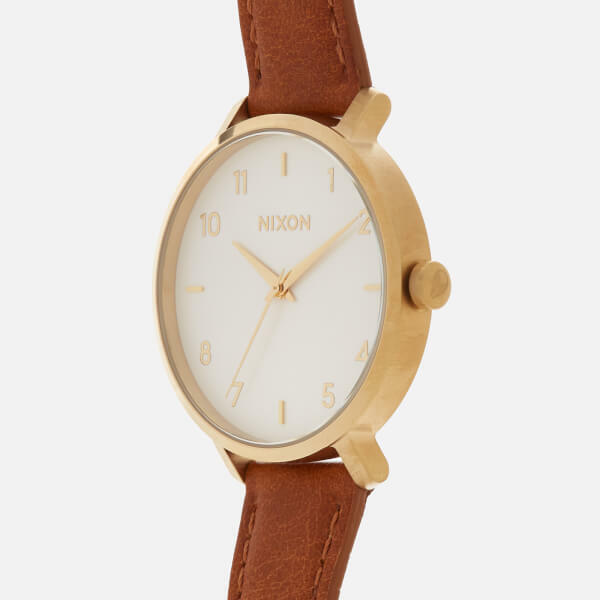 Discover a modern classic with ‘The Arrow’ watch from Nixon. 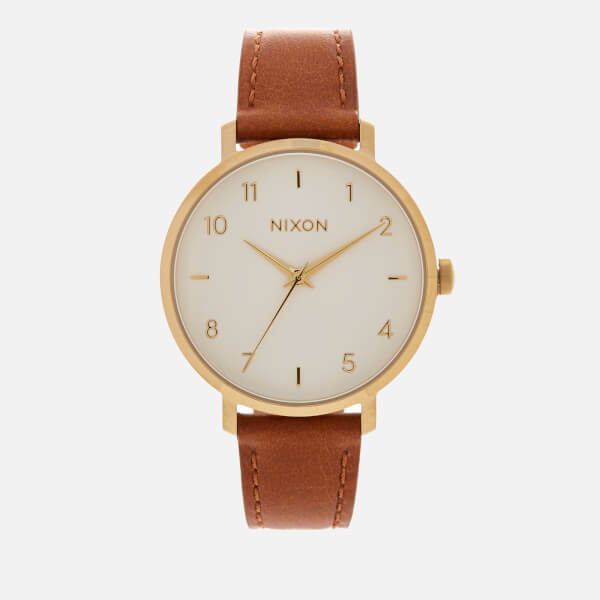 Crafted with a gold tone, stainless steel case, the watch boasts Scandinavian influences and menswear-inspired detailing. 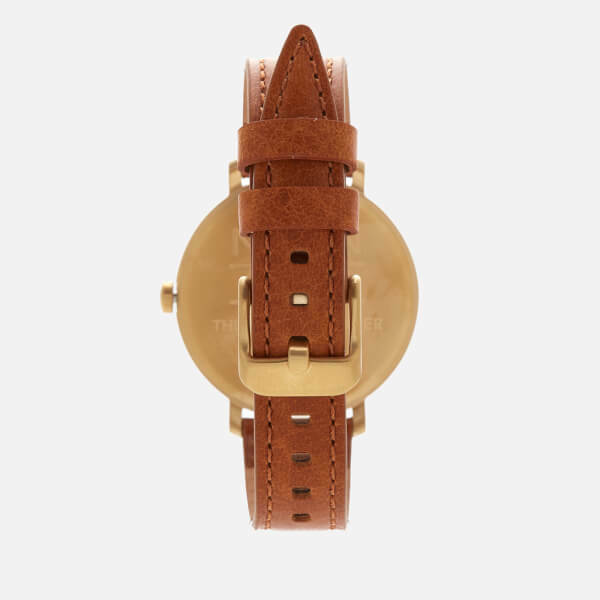 The timepiece comprises a hardened mineral crystal and a smooth leather strap, secured with an adjustable buckle. The 38mm case boasts a simple white dial with a custom moulded three hand mechanism, printed numbers and applied hour indices. Functioning on a Miyota Japanese quartz movement, the watch is complete with signature Nixon branding to the dial, offering a clean finish. 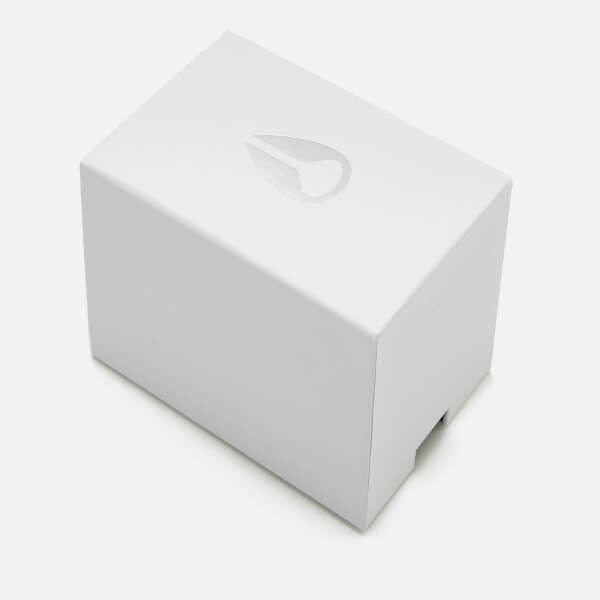 Arrives presented in a branded box. Diameter: 38mm. Strap Width: 17.5mm.